Yorkies have a distinctive appearance when compared to other small dog breeds. If you have been shopping for a Yorkshire terrier, also called a Yorkie, then you may have seen the terms "toy" and "teacup" used to describe the size that puppies will mature to. It is important that you know what you are looking for specifically when you go shopping for a Yorkie puppy because some of the terminology used to describe these dogs can be misleading or inaccurate. According to the American Kennel Club, there is no such thing as a registered teacup or toy Yorkshire terrier. The breed standard calls for dogs who weigh between 4 and 7 pounds as mature adults. Dogs who fall outside of the standard generally are not considered to be properly bred, and should not be considered desirable by individuals who are shopping for a Yorkie puppy. Yorkshire terriers are considered a toy breed. All Yorkies are technically toy breed dogs, so the term toy does not have any special meaning. All registered Yorkies are small enough to fall under the Toy Breed Group classification by the AKC and you should not pay extra for a Yorkie who is being advertised as a toy-size dog. Teacup is a buzzword used by less-than-scrupulous breeders to try and attract buyers' attention. Since the AKC does not recognize a toy or teacup Yorkie as being a legitimate specific size or variation on the breed, the meaning of these terms is highly variable. A 5-pound dog, technically a standard size Yorkie who falls within breed size requirements, might be labeled as teacup by someone, but the dog technically is not a teacup dog by the rules of the breed registry. A trend exists within the small dog breeding industry to try to breed extremely small dogs. These dogs may be labeled as either toy or teacup. 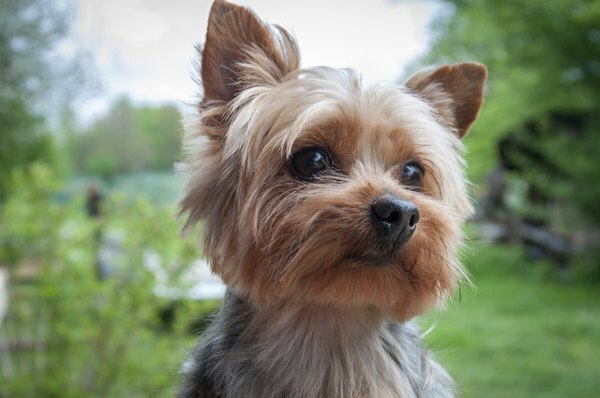 The problem with breeding extremely small dogs, especially dogs who are even smaller than the breed standard allows for, is that they may suffer from health problems, which the normal size Yorkies do not. Dogs who weigh less than 4 pounds tend to be extremely fragile, and can easily suffer injuries and broken bones as a result of their tiny size and tiny bones. It's best to avoid any breeder who is advertising a Yorkie as something that it technically cannot be. Stay away from buying "registered" dogs who do not meet the breed standard for a Yorkshire terrier. Its a good idea to familiarize yourself thoroughly with the AKC standard for a Yorkshire terrier and look for dogs who meet the standard when you are shopping. If you do decide to look at puppies who are being sold as teacup or toy Yorkies, its important that you remember that neither term technically means anything or adds any value to the puppy because toy and teacup are not recognized by any Yorkie registry. Tarah's Tailwaggers: Teacup, Tiny Toy, Toy...What Does It All Mean? Lets Talk Yorkie: Do Teacup Yorkies Really Exist?